The recently opened Lucky Dragon isn’t the first Las Vegas property to cater to Asian-Americans. Palace Station and the Gold Coast have been marketing to the Las Vegas Asian-American community for more than a decade. The recently opened Lucky Dragon isn’t the first Las Vegas property to cater to Asian-Americans. Palace Station and the Gold Coast have been marketing to the Las Vegas Asian-American community for more than a decade. No demographic group has seen a higher percentage of growth since the 2000 census than Las Vegas’ Asian community. Whether it’s Chinese-Americans, Korean-Americans, Filipino-Americans and other Asian ethnic groups — that hasn’t been lost on Las Vegas casinos that market to those communities. Palace Station recently hired a new vice president and general manager, Scott Nelson — a veteran at marketing to the Asian community in Las Vegas. The 52-year-old Nelson comes to Palace Station from Station Casinos’ Fiesta Henderson, where he served as general manager for just under a year. 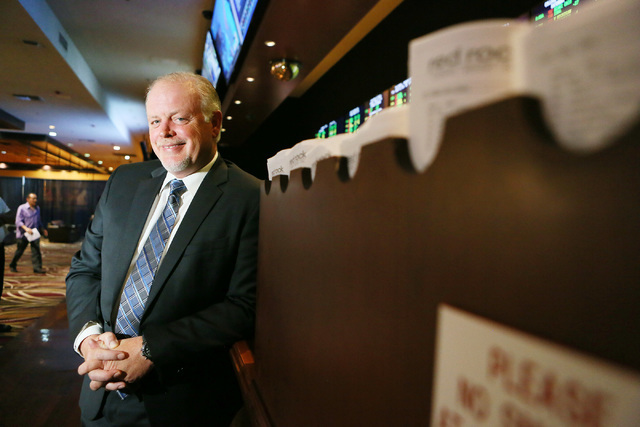 It’s a return to the neighborhood in essence for Nelson, who once served as director of casino operations at the Gold Coast on Flamingo Road. Las Vegas residents who identify themselves as ethnic Asians grew by more than 130 percent between the 2000 and 2010 census from 96,284 to 168,831. In that span, the percentage of Clark County’s ethnic Asian population grew from 5.27 percent in 2000 to 8.65 in 2010. It has since surpassed 10 percent in 2015 estimates, according to the U.S. Census. A significant percentage of that ethnic Asian community has settled in neighborhoods surrounding Chinatown on Spring Mountain Road west of Interstate 15, Nelson said. The 1,000-room, 40-year-old Palace Station has long recognized that importance of this community. The hotel-casino advertises in the Chinese Daily News that serves Las Vegas, Los Angeles and other markets. A Palace Station billboard promotes the property in Mandarin Chinese, and its website includes Chinese languages. “I was fortunate enough to have worked in this particular area at the Gold Coast for all of those years, and I watched Spring Mountain Road slowly migrate into what is now considered Chinatown,” Nelson said. Inside Palace Station, lotus leaves adorn the ceiling, and central pit tables feature bright orange as part of its Asian-themed motif. Table games and specialty spin-offs cater to Chinese and Chinese-American guests with a focus on baccarat, video baccarat and pai gow poker. Nelson estimates that 40 percent to 50 percent of the table game players in Palace Station are ethnic Asians. Many of the dealers are Asian-Americans who speak Korean, Vietnamese and Mandarin and Cantonese dialects. There are four Asian-American hosts, including one who speaks five languages, Nelson said. There are baccarat tournaments and cultural celebrations such as Chinese New Year and the Moon Festival. There are dinners with specialty Asian menus and Chinese food outlets that offers traditional dishes. Nelson has worked in the gaming industry for 30 years, including his stints for Stations, Coast and Affinity Gaming. He also worked in Colorado gaming for four years before returning to Las Vegas in 2015. Even though Palace Station reaches out to the Asian community because of its geographic location in Las Vegas, it reaches out to all groups, Nelson said. Palace Station gets some tour groups from France and Germany. Nelson said Palace Station is looking to reach out even more to the growing Hispanic population moving into the neighborhood through soccer game offerings and food and drink specials related to it. For now, the gist of the marketing is for the Asian community, and Palace Station is exploring other food concepts to implement as part of a remodel, he said. “Palace Station has put in more effort and has more Asian clientele that we speak to than the other Station properties because of the proximity to Chinatown,” Nelson said.